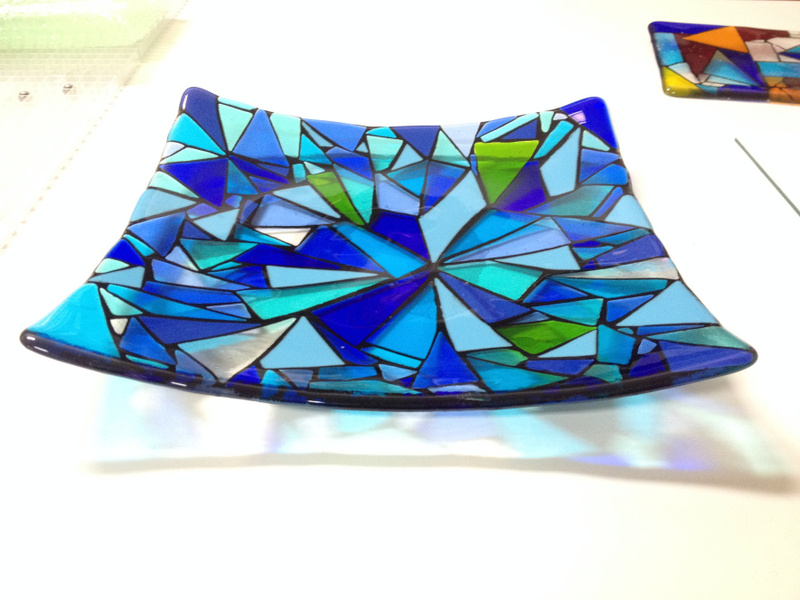 Really love this blog from Mrs Wellthisiswhatithink (aka Jenie Yolland) on the classes she runs in Melbourne, Australia teaching people to express themselves and learn a new skill by making their own art glass plates and platters. Article on Jenie’s classes – click here and enjoy a good read! If you’re heading to Melbourne soon, or you live here, I warmly recommend them. Cheap as chips, and she spreads such joy! Some lovely photos of students’ work throughout the article – and students enjoying themselves – enjoy! Lovely cheerful colours – we all need colour and beauty in our lives – thanks Yolly!